The Broken Hill Midwifery Group Practice model of care in the Broken Hill Hospital Maternity Unit has won the 2016 Far West LHD Health Innovation Award. 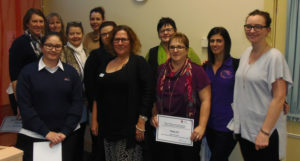 The BH Midwifery Group Practice provides a continuity of care for women in Broken Hill accessing midwifery services during pregnancy. The project also won the People’s Choice Award, at the awards held today (Friday, 24 June) which featured a presentation by each of the eleven finalists. 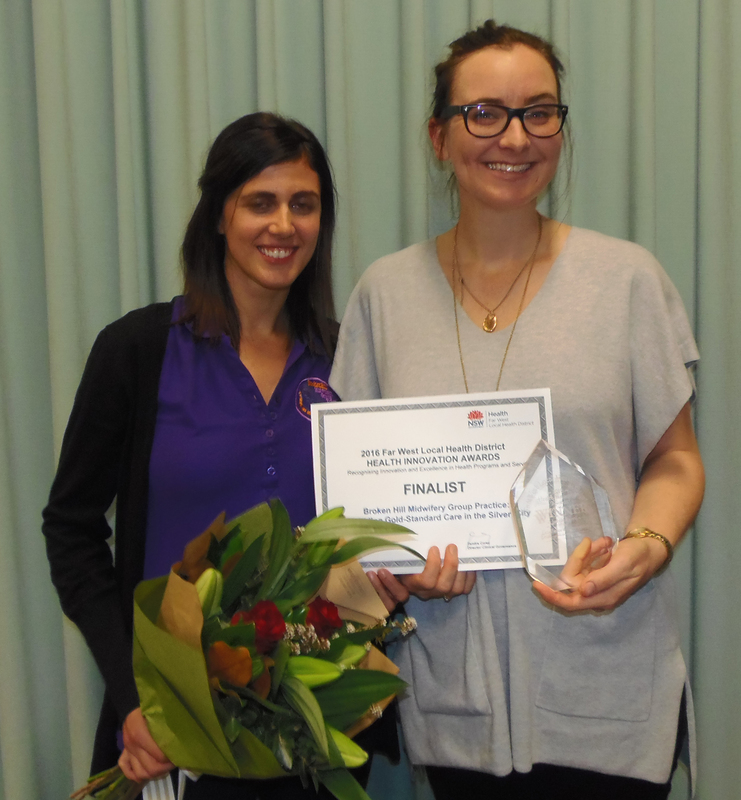 In addition to the overall winner, a Judges Commendation Award was presented to ‘From Cocoa Bean to Chocolate: Transforming the Broken Hill M&M’ – a project about transforming the Broken Hill Morbidity and Mortality (M&M) meetings into an evidence based multidisciplinary structured clinical review process. The Agency for Clinical Innovation (ACI) award was won by ‘PleDG-ED: It’s worth the wait.’ This project addressed and helped reduce the ‘do not wait’ rates for people accessing the Broken Hill Health Service emergency department. An ACI Commendation Award was presented to ‘Upright Ivanhoe’, which encouraged people living in Ivanhoe to increase their awareness and education surrounding ageing safely within the community. “The calibre and number of submissions and the presentations on the day once more surpassed our expectations and were of a very high quality,” said Ms Zandra Corey, Director Clinical Governance, Far West LHD. “The finalists were selected based on innovation as well as originality and the improved outcomes that resulted from the changes implemented. “The projects showcased today require significant time, energy and commitment and the entrants have worked hard with their teams to improve the quality and safety of services delivered by the LHD. “The awards ceremony is an opportunity to celebrate this and spread the word about new ways of working to improve our health services,” said Ms Corey. The winners will be entered into the NSW Health Innovation Awards for 2016 to be held later this year.